Extra practice, make up for a missed class, or bring a friend and show them how awesome gymnastics is! I am aware that a charge of $10 will be applied to my account upon registering for this event. If I have indicated that this event is being used as a make-up class for my child, who has missed a regular class within the last month, this charge will be deleted upon verification of the missed date. I am aware that I must have a credit card on file to register for this event. I am aware and agree that FOR THIS EVENT ONLY, all fees not paid by the start of the event can & will be automatically charged to the credit card on my file. 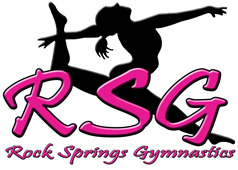 In consideration of my being allowed to receive & participate in services provided by Rock Springs Gymnastics Inc. (RSG) and Ninja Zone, including but not limited to, sports activity, class, competitions, open gym, and non-gymnastics types of activities such as dance, cheerleading, swimming activities (hereinafter referred to as the "Activity"), I, and if I am not yet 18 years of age, my parents or legal guardian (collectively the "I", "me", or "my" in this release), acknowledge and agree as follows. This is a legally binding agreement, which is intended to provide a comprehensive release of liability, but is not intended to assert any claims or defenses, which are prohibited by law. I am aware that the Activity, as in any sport involving height and motion, involves the risk of serious bodily injury, including permanent disability, paralysis or even death, which may be caused by the gymnast's actions or inactions, those of others participating in the Activity, the conditions in which the Activity takes place, the negligence of the "Released Parties" named below, or other causes. I further understand that there may be other risks either not known to me or not readily foreseeable at this time. I fully accept and assume all such risks and all responsibility for losses, cost, and damages that may result from participating in the Activity and all losses and hazards incidental to the transportation to and from the Activity. I hereby give my approval of and consent to the child's participation in the Activity. I understand the nature of the Activity, and I represent that the child is qualified, in good health, and in proper physical condition to participate in the Activity. Should I ever believe that any of the above representations have become untrue, or if I should ever believe that the Activity is not safe or is no longer safe for the child, then it will be my responsibility immediately to discontinue the child's participation in the Activity. I release, acquit, covenant not to sue, and forever discharge Rock Springs Gymnastics Inc. (RSG), Ninja Zone, and all of its officers, administrators, employees, agents, volunteers, sponsors, advertisers, coaches and supervisors, and the owners or lessors of any facilities within which the Activity is conducted, their respective agents and employees, and all other persons providing facilities or assisting in the conduct of the Activity and in the transportation of participants to and from the Activity (collectively the "Release Parties") of and from any and all actions, causes of action, claims, demands, liability, losses, damages of whatever name or nature, including but not limited to those arising form or in any way related to the negligence of any of the Released Parties, that arise out of or are connected in any way to the gymnast's participation in the Activity and the transportation of the above named gymnast to and from the Activity (collectively the "Released Claims"). Any and all gymnastics/Ninja skills will be conducted in a safe gym environment and I will hold RSG and Ninja Zone harmless of any injuries incurred in and outside the gym areas. I will defend, indemnify and hold harmless the Released Parties from (that is, to reimburse and be responsible for) any loss or damage, including but not limited to cost and reasonable attorney's fees (including the cost of any claim I might make or that might be made on my behalf or the child's behalf that is released in the document), arising out of or connected in any way with any of the Released Claims. In the event of an emergency, and parents cannot be contacted, I give RSG, it's coaches and/or staff, permission to obtain and sign for medical treatment. I hereby authorize RSG and Ninja Zone to publish photographs and videos of me and/or the undersigned minor children, and our names, for the use of printed publications, on their websites, Facebook pages, and for training purposes. I release RSG and Ninja Zone from any expectation of confidentiality for the undersigned minor children and myself and attest that I am the parent or legal guardian of the children listed below and that I have the authority to authorize the use of their photographs, videos, and names. I acknowledge that since participation in publications and websites produced by RSG and Ninja Zone is voluntary, neither the minor children nor I will receive financial compensation. I further agree that participation in any publication and website produced by RSG and Ninja Zone confers no rights of ownership whatsoever. I release RSG and Ninja Zone, it's contractors and its employees from liability for any claims by me or any third party in connection with my participation or the participation of the undersigned minor children.